Alpha Machine in Pottstown, Pennsylvania, provides top-of-the-line manual and CNC machine maintenance services to produce built-to-last metalworking tools. Our tool condition monitoring is designed to precisely assess the overall efficiency of your equipment. Rely on us when it comes to handling your machines' needs. 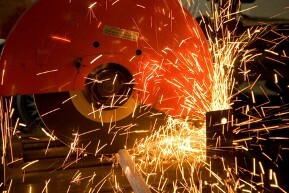 Our high-caliber on-site services for metalworking machinery are targeted towards getting your equipment up and running at the earliest possible time. We’ve worked with major machine tool manufacturers and dealers from the East Coast. Whether you’re part of a large corporation, or are a small job shop looking for reliable troubleshooting and preventive maintenance on old and new machines, we’ve got you covered. and CNC machine maintenance for well-kept metalworking tools.